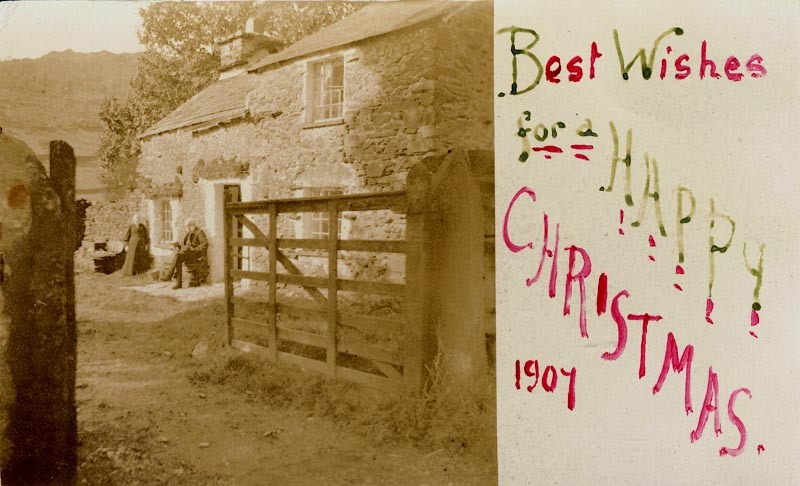 Postcard, sepia-toned photograph of two people at Middale, and alongside "Best Wishes for a HAPPY CHRISTMAS 1907" is written in red and green. On the back are the words "Mid-dale Longsleddale" and it is signed L.T.Reade. The people in the picture may well have been John and Agnes Cragg who would have been aged 63 and 53 respectively in 1907 and who were the residents of Middale in the 1901 census. L.T Reade was Lydia Reade, wife of George Reade, vicar of Skelsmergh from 1872 to 1895, later at Milnthorpe then at Ings. 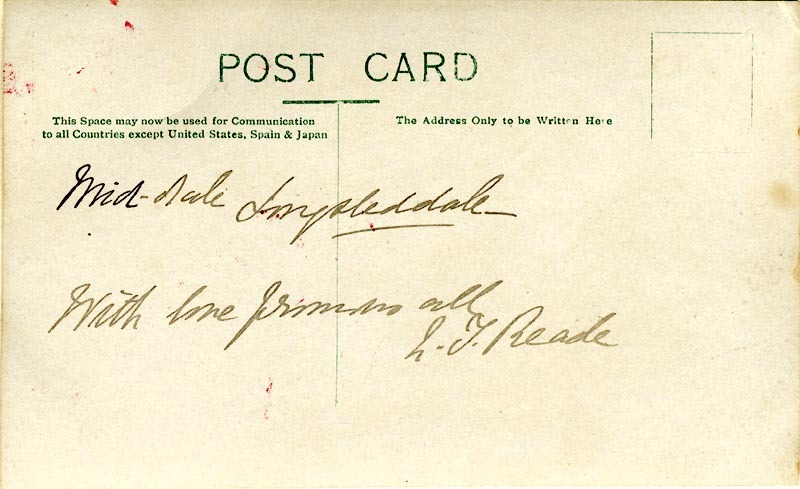 The card was not posted; the back is divided to accommodate a message (but not to the United States, Spain or Japan) as well as an address; this idea was introduced in 1902 in Britain but not universally allowed until several years later.